Welcome to iRay Manager V3. Use this tool to activate the iRay "secrets". 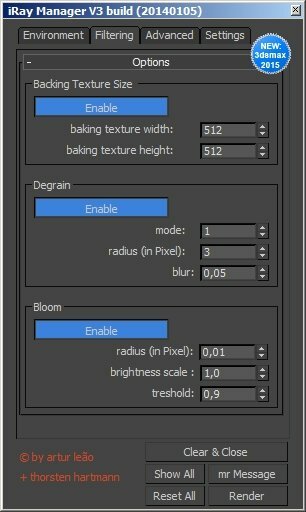 Optimize your Renderings with new Environment Modes and some special Options.